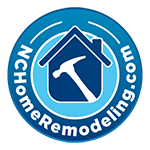 Rental Home Maintenance Thanks to our extensive experience with realtors and property management firms across Wake County, NCHomeRemodeling.com is also equipped to handle all your rental property maintenance needs. Call about our special rental property pricing in the Raleigh NC area. We also complete home inspection punch lists for your convenience. Call us today for quality home and property maintenance at prices that won’t break your budget. We look forward to being your chosen contractor for years to come.